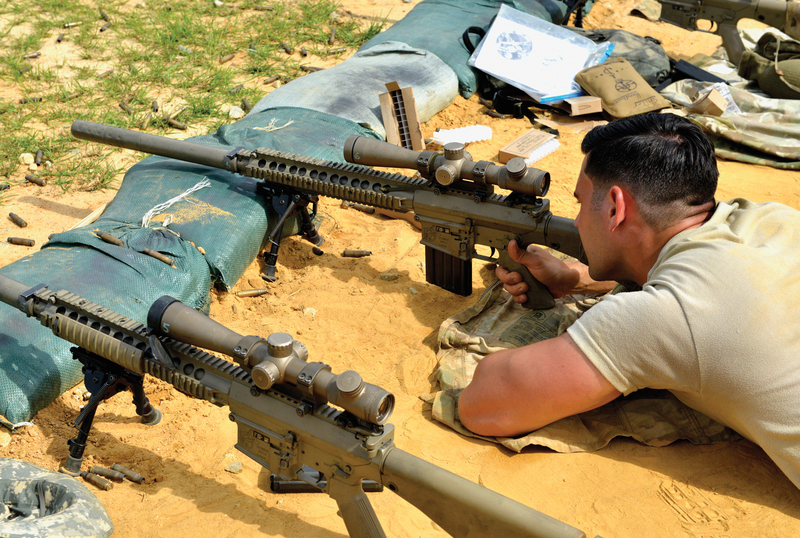 Ask the U.S. Army Sniper School’s master trainer what it takes to be a great sniper, and he doesn’t immediately mention marksmanship. “You have to be confident, committed, and cool under pressure,” said Sgt. 1st Class Matthew Fox. Each year, several hundred soldiers come to the Fort Benning, Ga., school from the infantry, cavalry scout and special operations communities. Training them to become snipers falls to the 18 seasoned instructors on the school’s staff. Sgt. 1st Class Matthew Hammond, the school’s first sergeant, confirms that marksmanship is only about 20 percent of a sniper’s skill set. On the marksmanship side of the job, disciplined thinking is every bit as crucial as steady hands and a clear eye. “You can’t just see the enemy and shoot him,” said Staff Sgt. Guillermo Roman, the school’s team sergeant. Instead, “It’s: Can I shoot him? When can I shoot him? What will happen after I shoot him? What are the repercussions of shooting him now versus waiting another hour? You always have to be thinking three steps ahead,” Roman said. Then there’s the emotional steel required to sight down on and kill a person. The bottom line? “You definitely have to have a solid mental state to come into this world,” Hammond said. Instructors lead students for seven weeks through three course phases: fieldcraft, marksmanship and operational employment. “That’s not a lot of time to hone so many different skill sets,” said Fox. “We have 75 lesson plans covering a wide range of things,” including advanced camouflage and concealment, countertracking, range estimation, target detection, sniper deployment, long-range marksmanship and target engagement. The U.S. Army is buying a new rifle for its long-range sharpshooters. Heckler & Koch recently confirmed that a contract has been finalized to provide the Army with a modified version of its Gewehr-28 Designated Marksman Rifle as a shorter, lighter replacement for the M110 Semi-Automatic Sniper System. Service officials have offered few details about what’s being called the Compact Semi-Automatic Sniper System, or CSASS. But under the contract, potentially worth $44.5 million, the Army could order up to 3,643 weapons over two years. Each phase builds on the previous one; soldiers who fail any one phase are out altogether. They are allowed to try again, and there’s no restriction on how long they must wait before returning to Sniper School. However, they must start all over again, regardless of which phase they failed. That high bar keeps the school’s average attrition rate at 56 percent. Still, about 200 soldiers make it to the finish line each year to emerge as fully qualified U.S. Army snipers. 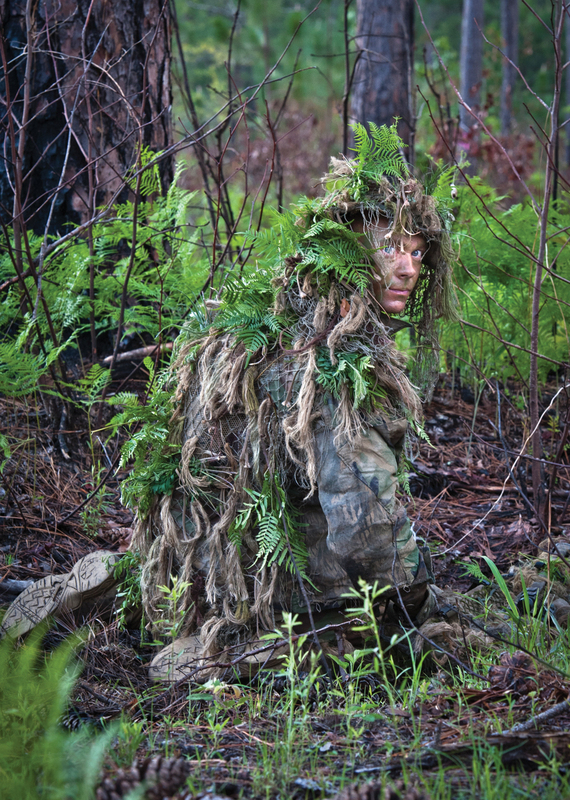 The initial two-week fieldcraft phase focuses on advanced camouflage techniques, observation and reporting, fundamentals of reconnaissance, range estimation and target detection. The primary exercise is the “stalk.” Students start at an objective rally point, get briefed on their target area, and then must move undetected into that area. Then they must engage the target without being seen and leave, undetected, to return to the objective rally point for extraction. Students may inadvertently put their vegetative cover on upside down, not realizing the underside is lighter than the topside that’s been sitting in direct sunlight. Or they may fail to replenish their cut vegetation before it starts to wither, which also makes it stand out. “It’s definitely an art,” Roman said. “It’s not what you see in the movies. Yes, our primary mission is to fire long precision shots, but there’s much more that leads up to … this,” he said, sweeping his hand across the firing line where students were sending rounds downrange. Fox said the job requires a lot of patience, which can prove difficult for some students, most of whom come from an infantry community that tends to operate at slightly higher speeds. The instructors also stress that fieldcraft is not designed simply to pave the way for getting into position for a shot. Spc. Bruno Estevao from Fort Carson, Colo., trains at the U.S. Army Sniper School, Fort Benning, Ga.
A soldier during a stalking exercise at the U.S. Army Sniper School, Fort Benning, Ga.
That is not to say marksmanship is neglected. Far from it: Up to 53,000 rounds are expended during each seven-week course, and one of the prerequisites to attend the school is being qualified as expert on the M4 rifle. It’s specialized weaponry, after all. Shooters usually carry the big, ominous M2010 sniper rifle while spotters carry the smaller, but still imposing, M110 rifle. Snipers also may use the M107 .50-caliber semiautomatic long-range rifle, and they carry the Beretta M9 pistol “for close-in work,” said Staff Sgt. Dane Lentz, another instructor. When shooting a bullet downrange at long distances, “every variable comes into play,” Hammond noted, including wind, bullet spin drift, and even the rotation of the Earth. The instructors say most students pick up this aspect of the craft fairly quickly. Still, they’re given cheat sheets. “And we tell them to carry two pens, because they’ll be writing and using their calculators like madmen here,” Rushing said. 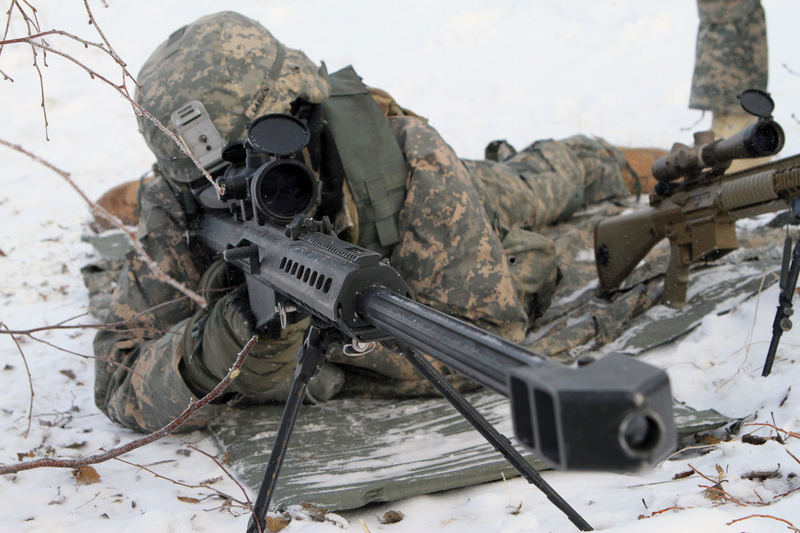 The Army is rethinking how its snipers are organized, according to Sgt. 1st Class Matthew Fox, master trainer at the U.S. Army Sniper School at Fort Benning, Ga.
All infantry battalions have designated sniper sections, but the Army also sends soldiers to the school from the 19D cavalry scout and 18 series Special Forces MOSs. Yet those units have no designated sniper billets, Fox said. “If a 19 Delta comes through the school and graduates, he gets a certificate of training, but he doesn’t get” the official sniper additional skill identifier, Fox said. So when that soldier returns to his cavalry squadron, he can be employed in a sniper role in the field—but only unofficially. Fox said an Army working group is discussing how to formally build sniper sections into cavalry scout squadrons. “Probably within the next year or so, you’ll see” the sniper additional skill identifier awarded to other MOSs other than 11B infantryman, he said. Everything students learn during the first two phases of the sniper course is put to the test in the third, or operational, phase. It all comes to a head in a 72-hour field training exercise that involves a live scenario with role-players in a mock village. “They have to be able to pick out, for example, who the key leaders in the village are, what the dynamic is, the baseline pattern of life inside the village, things like that,” Fox said. An important aspect of the course is that the nature of the work, done in very small teams, leads snipers to forge incredibly close bonds. As the course rolls on, there’s one more facet of being a sniper that the instructors seek to hone in their charges: the hungry hunter mentality.